Although women are less likely to die by suicide than men, 5.5 of every 100,000 women take their own lives each year. 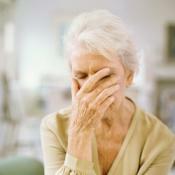 For women over the age of 40, suicide rates have risen dramatically, accounting for 60% of all suicides among women. A variety of factors, depression and substance abuse among them, may leave middle-aged women vulnerable to thoughts of suicide, but a JAMA Psychiatry study suggests that women with more friendships are less likely to die by suicide. Can Social Connections Reduce Risk of Suicide? Between 1992 and 2010, the Nurses’ Health Study tracked 73,000 female nurses ranging in age from 46 to 71. Participants completed questionnaires about their lifestyles and health every two years. Researchers pulled data from this study in an attempt to better understand why so many middle-aged women die by suicide. Each woman was assigned a “social integration” score based on a number of factors: the size of her social network, the frequency with which she had contact with others, her membership in social organizations, and her marital status. Researchers then compared this data to suicide rates. Over the course of two decades, women with more active social lives were shown to be three times less likely to die by suicide, even when mental and physical health issues were taken into account. Previous research has found that loneliness is associated with numerous health challenges. In one such study, researchers found that people with high rates of loneliness were more likely to die prematurely. Researchers have also uncovered connections between loneliness and hardening of the arteries, difficulties with learning and memory, and chronic inflammation. Though loneliness can contribute to serious health risks, these risks can be decreased. The authors of the study on suicide and loneliness suggest that psychotherapy may help people who are lonely address the issues that contribute to their loneliness, enabling them to deepen their social connections. © Copyright 2015 GoodTherapy.org. All rights reserved. 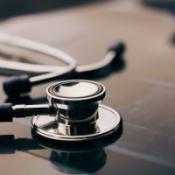 Why Are Doctors at Higher Risk of Suicide? 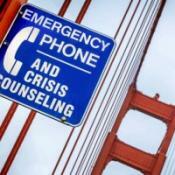 Do Suicide Prevention Signs and Phones on Bridges Help? If they are like me, those social connections and friends can be your lifeline at times. There have been so many times in my own life where I have felt overwhelmed and taken over by life in general but having those friends there for me made all the difference in the world. Even when there were times that I could not talk to my family about the things I was going through I have thankfully always had a tight knit group of friends that I could depend on. Women I think are more hard wired to want and need this outside support from others than possibly men do. And we are always a lot more willing to ask for help from others when we need it. It is never to easy to do that but I think that women recognize the meaning of friendship and rely on that more than men are trained to do.